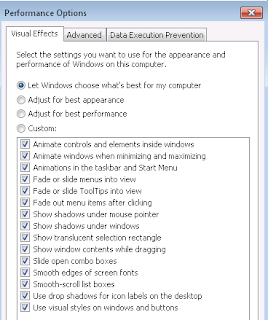 By default, performance options of Windows 7 is best appearance. However, domain users cannot modify the performance settings. I should assign the Group Policy to modify performance options for all users. 2. Launch "Group Policy Management". 3. Right-click a group policy which is assigned to the users, select "Edit". 4. Expand "User Configuration > Policies > Administrative Templates > Control Panel > Personalization". 5. At right pane, double-click "Load a specific theme". 7. 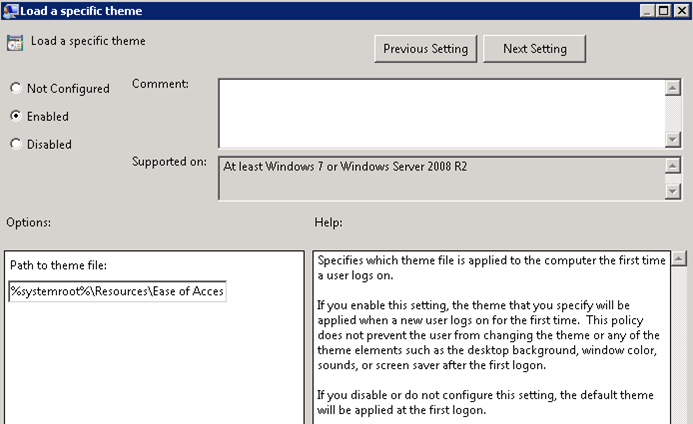 Under "Path to theme file", type "%Systemroot%\Resources\Ease of Access Themes\basic.theme". 9. At left pane, expand "Preferences > Windows Settings > Registry". 10. 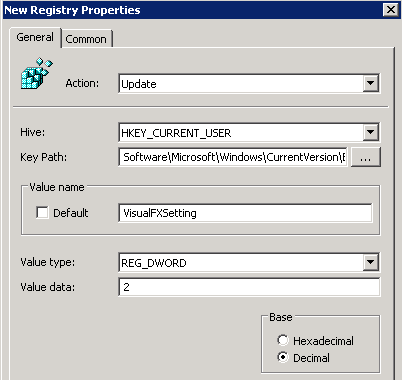 Right-click "Registry", select "Registry Item". 11. Next to "Action", select "Update". 12. Next to "Hive", select "HKEY_CURRENT_USER". 13. 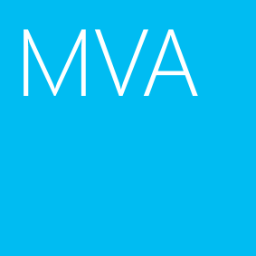 Next to "Key Path", type "SOFTWARE\Microsoft\Windows\CurrentVersion\Explorer\VisualEffects". 14. Under "Value name", type "VisualFXSetting". 15. Next to "Value type", select "REG_DWORD". 16. Next to "Value data", type "2". 18. Close "Group Policy Management Editor". As a result, when a domain user logs in the Windows, the user will be assigned best performance setting of performance options. 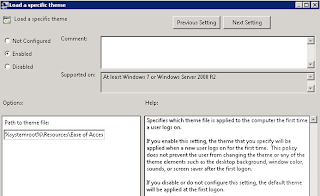 Remark: "Windows 7 basic theme" will be applied to a domain user who first logs in. Remark: If the "Load a specific theme" setting is not applied correctly on a computer, please read the following web site and install the Hotfix. how do you set it so that the last 2 items are ticked, drop shadow and visual style? I've done all exactly as you advised. But unfortunately this GPO does not affect to the performance settings of any domain user. 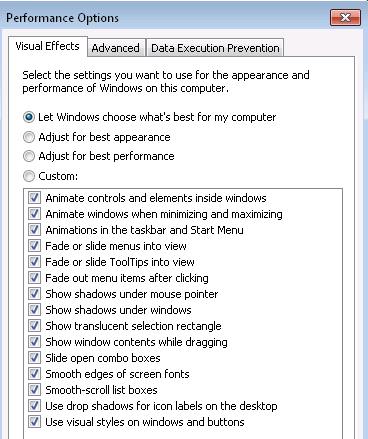 By default "best performance" settings is applied, though all "System performace" checkbox really become unchecked. If I reapply "Best performance" setting manually, settings applies, but at next logon "performance settings" returns to "Best" again, despite the unchecked checkboxes. Have you any ideas or advices to workaround my problem. Sorry for late reply. You can try to perform "gpresult /h gpresult.hrml" to verify the GPO result of "Best performance". You can add a user to local administrator group. Use the user account change the best performance to best appearance and then perform "gpupdate /force" to verify the result.